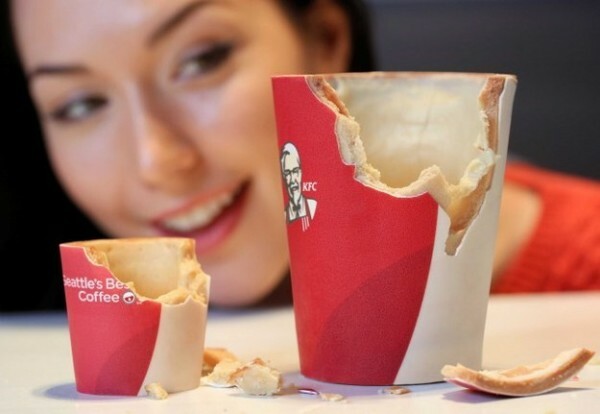 KFC UK To Offer Coffee In An Edible Cup | OhGizmo! Where Will You Put All Those Batteries You Buy On Special? By David Ponce on 02/27/15 • Leave a comment! food scientists at The Robin Collective to create the ice cream cone-inspired vessel, dubbed “Scoff-ee Cup”, which is made from a biscuit wrapped in sugar paper and lined with a layer of white chocolate. 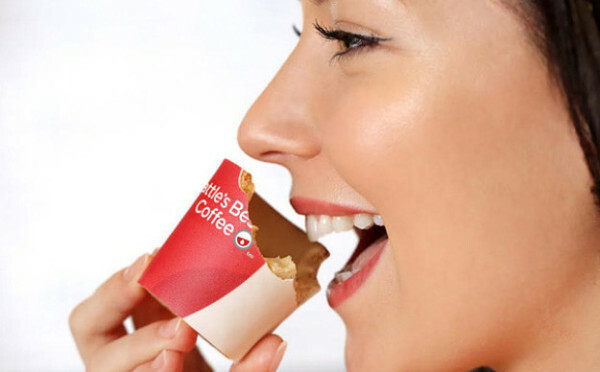 Over time, the cup will soften to the point where it melts in your mouth. We don’t know for how long the cups are able to keep the liquid in without leaking, but for those of you who like to sip on cold coffee throughout the day (like me), this might be a risky proposition. 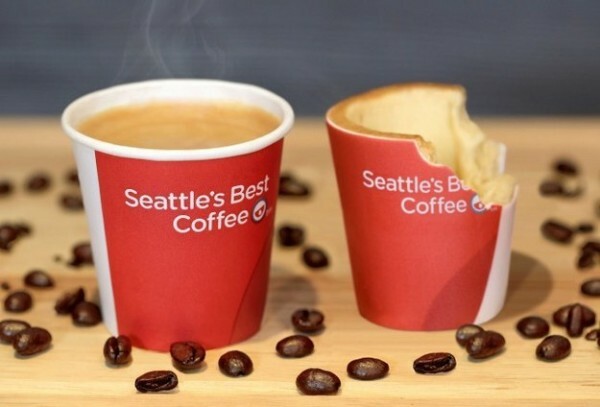 The cups are being introduced to mark the launch of KFC’s Seattle’s Best Coffee across its UK branches. They aren’t ready yet, so don’t go running to your local branch just yet; the hope is that they will be by summer.